This holiday season, we treated our friends, who attend Hudson Milestones’ Adult Program, to manicures, pedicures and Dunkin’ Donut gift cards. The six adults with Down syndrome, who all live in group-homes, were delighted with the gifts and enjoyed an afternoon out on the town! This same group participated in last year’s “Jingle Ball Rock” and we are thrilled to have maintained a strong relationship with them and Hudson Milestones. As part of our new Rock the World initiative, Rock the 21 partnered with World Hope’s Enable the Children (ETC) in Freetown, Sierra Leone, Africa. ETC is comprised of dedicated local and expatriate staff who provide physical and occupational therapy, care and support services to children living with disabilities. Their services are crucial in a culture that largely misunderstands and undervalues individuals with disabilities. ETC is the only organization that currently provides this level of care in Sierra Leone. Currently, the staff at ETC travel to visit children in their homes to provide therapy and care, teaching families and caregivers the best way to support their children in their everyday environment. However, the amount of travel limits the amount of children that can be seen. This is the reason Rock the 21 jumped at the opportunity to help ETC implement their own therapy room. ETC secured a room at the local hospital, and with Rock the 21’s donation, they started transforming the once storage room into an inviting therapy space for children. Thanks to our Rock the 21 supporters, 25 children will now be seen each day, and the impact of this donation will be felt for years to come. Stay tuned for pictures of the finished room, complete with therapy toys and happy children (and parents)! Rock the 21 celebrated Down Syndrome Awareness month by hosting a pizza party for families in Hudson County, NJ! Families with children who have DS and adults from the Hudson Milestones group home came together to celebrate those who rock their extra chromosome. While adults were able to connect and share valuable information with one another, kids decorated pumpkins, got their faces painted, played with balloon creations and danced. Events like this are crucial to building a strong sense of community. They also allow Rock the 21 to find additional ways to support individuals with DS and their families. None of it would be possible without our supporters and the Hoboken businesses who continue to donate. A huge thank you to Willie McBrides for helping us host our event, Napoli’s Pizzeria, and Uptown Pizza for their generous donation of pizza and salads! In April, protests erupted in Nicaragua against the social security reforms decreed by President Daniel Ortega which were increasing taxes while decreasing benefits. Protests, started by university students, spread throughout the country, with protest groups putting up roadblocks on major highways. Counter-protesters, sponsored by the government, along with the police have responded with violence. A report issued by Amnesty International stated that authorities "adopted a strategy of repression, characterized by excessive use of force and extrajudicial executions". It is estimated that the death toll could be close to 500 people. Due to this continued civil unrest, food, medicine and other necessities have been difficult to obtain and when accessible, their costs have increased substantially. One of the organizations Rock the 21 has supported, Mustard Seed Communities (MSC), is suffering due to this conflict. MSC, which is the orphanage that Rocker, Alicia, was adopted from, provides care and shelter for adults and children with disabilities, including DS, in Nicaragua. By providing financial assistance to help cover these increasing costs, MSC will ensure their residents continue to be well cared for during this difficult time in their country. 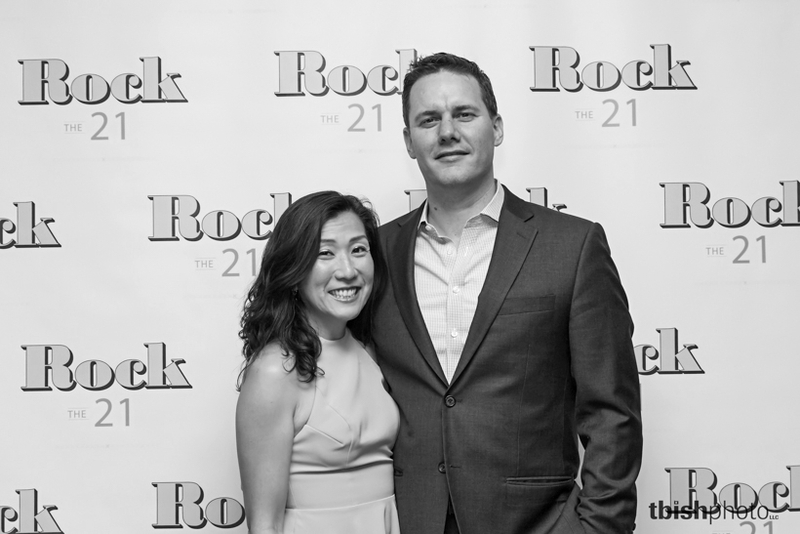 Rock the 21’s core mission is to Educate, Advocate and CELEBRATE! One of the many ways we celebrate is by creating space for community and friendship to flourish. When families know they are not alone in their journey, it often gives them the freedom to truly celebrate their loved ones and help them rock their 21st chromosome. 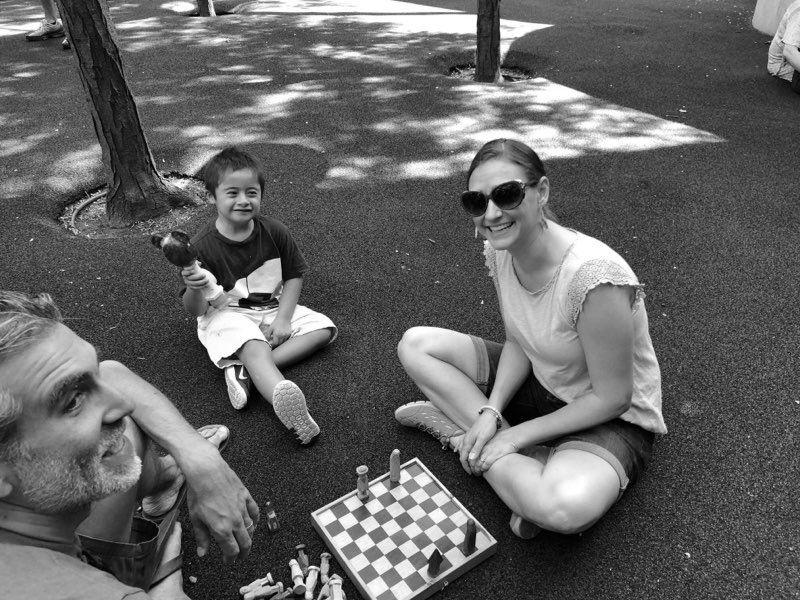 We wished summer farewell at a park playdate with new friends. While 14 adults talked, 15 kids ran through sprinklers, slid down slides and ate way too many munchkins! It was a place for parents to meet, connect and ask questions. Rock the 21 was honored to be featured on the cover of Hoboken’s magazine 07030. Many thanks to tbishphoto photo for capturing our smiles and educating our community about people with DS. Please click the cover image to read the full article. One program that Rock the 21 is committed to supporting year after year is the Early Intervention Program at Stepping Stones School in Roseland, NJ. The Rock team has experienced first hand how beneficial this program is for young children with Down syndrome (DS) and their families. To that end, we are pleased to announce another contribution to the scholarship fund which will provide critical therapies for toddlers with DS who would otherwise not benefit from the program due to financial constraints. Early intervention, which is provided to children with disabilities prior to their third birthday, is a set of critical services — most often speech, occupational and physical therapy — to help improve gross and fine-motor abilities, language skills, social development and self-help skills. Stepping Stones’ program, which is held in a state-of-the-art therapy and sensory room, provides an interactive environment for the children to work individually and in small groups to acquire skills such as walking and balancing, strengthening their pincer grasp, and drinking from a straw. These important skills will be the foundation for a future filled with many successes! 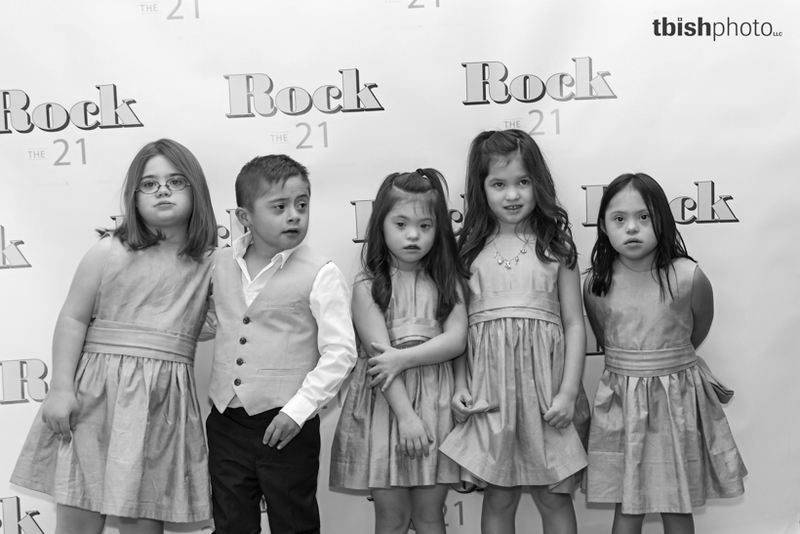 On April 14, 2018 we hosted Rock’s 3rd gala in celebration of persons who rock their 3rd copy of the 21st chromosome. Guests at our sold-out event danced the night away while enjoying spectacular views of NYC, chef stations, silent auction, raffle baskets, and a photo booth. All proceeds from the event support Rock the 21’s mission of celebrating and supporting individuals with Down syndrome and their families & fostering social awareness on their meaningful acceptance and inclusion in our communities. Many thanks to our generous donors, guests and sponsors -- you make it possible for us to carry out our mission and positively impact the lives of people who have DS! Please click image below to learn more about the programs Rock the 21 has supported, thanks to our generous donors. In partnership with Imprint Hope, Rock the 21, helped fund a life-saving heart surgery for a toddler with Down syndrome (DS) in Uganda, Africa. The family lives in a mud hut on a remote island, with no local access to transportation or proper medical care. When it was finally detected that the toddler had DS, her parents were surprised to also learn that she had three holes in her heart and very high blood pressure. Rock the 21 is excited to be a part of the group that will give this beautiful girl a chance at life and an opportunity to prove to her society that she too is worthy. Nearly 60 educators, therapists, social workers and parents attended Rock the 21's "Inclusion Rocks" seminar on January 27th. Facilitated by Toby Karten, an inclusion specialist and consultant that brings more than 40 years of special education experience, the seminar included an interactive presentation on practical inclusion strategies and interventions for the classroom, including academic, emotional, social and behavioral interventions, along with collaborative family approaches. The day wrapped up with a Q&A session with our panelists, which included Gina Garofalo, an elementary school teacher with experience in inclusive and non-inclusive settings; Ray McKenna, a special education teacher who has hands-on experience working with students with DS; Diane Ripple, an education consultant; and June Hacker-Traiger, a parent of a child with DS. 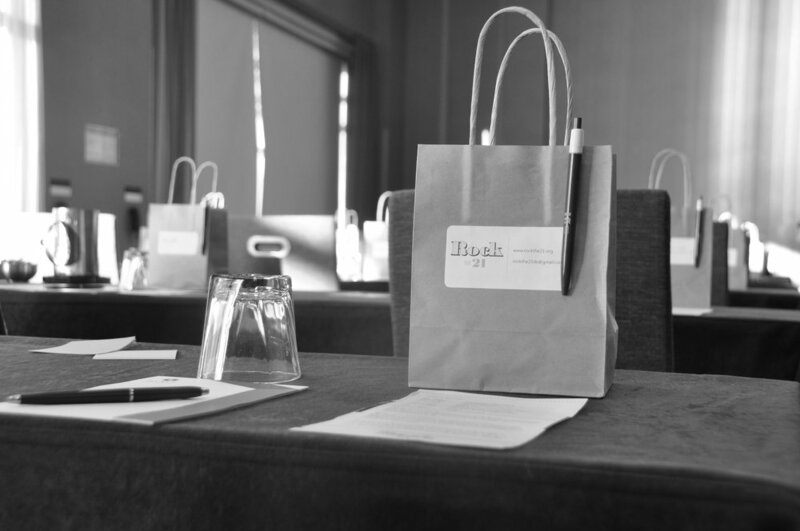 In addition to learning best practices and hearing real-life stories of inclusion success, participants received valuable take-home handouts, and could visit the “Strategy Table”, which had example books and learning tools teachers could utilize in the classroom. 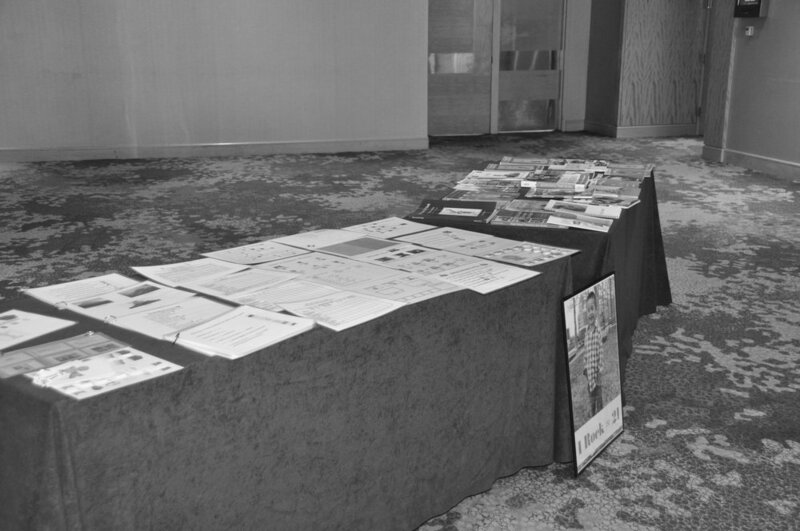 The day also included three raffles geared around educating and celebrating DS, as well as a gourmet brunch. Many thanks to our panelists, facilitator and attendees for a great day! NDSS - Lesson Plan "Taking Down Syndrome to School"
Having a job is important and fulfilling, but even more so for persons with intellectual disabilities. The satisfaction of a job, financial independence, as well as social interaction provides an important sense of purpose and belonging. For the second year in a row, Rock the 21 is pleased to fund scholarships at Employment Horizons - a non-profit organization that provides employment, training and job placement services to people with disabilities. The first scholarship will provide six adults with Down syndrome (DS) an opportunity to participate in a job sampling program that provides participants the opportunity to explore several different careers to find a job that matches their skill set and interests. Career counseling and instruction in job-seeking skills will also be provided. The second scholarship, is for a three-month training program for one culinary arts trainee with DS. This person will receive hands-on training in the kitchen. When ready to graduate, Employment Horizons will provide the individual assistance in contacting employers and help with scheduling interviews. A boy with Down syndrome is participating in one semester of hippotherapy thanks to Rock the 21. Hippotherapy involves the use of horseback riding as a therapeutic and/or rehabilitative treatment that aims to improve balance, coordination and strength. Not only does the horse's movement promote active responses in the rider, but many riders also receive speech and occupational therapy while riding. The sessions are taking place at Pony Power Therapies, a non-profit organization that gives special needs and at-risk children, as well as adults a unique opportunity to ride, care for, and interact with horses.